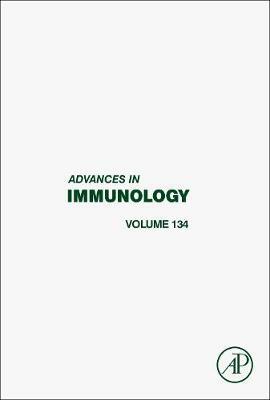 Advances in Immunology, Volume 134, the latest release in a long-established and highly respected publication, presents current developments and comprehensive reviews in immunology. Topics covered in this new volume include T Cells and B Cells, A Chemoattractant-Guided Walk Through Lymphopoiesis: From Hematopoietic Stem Cells to Mature B Lymphocytes. Tissue Specific Regulation of Dendritic Cell Development and Function, and the Regulation of Innate and Adaptive Immunity by Transforming Growth Factor Beta (TGFss). Articles in this long running series address the wide range of topics that comprise immunology, including molecular and cellular activation mechanisms, phylogeny and molecular evolution, and clinical modalities. Edited and authored by the foremost scientists in the field, each volume provides up-to-date information and directions for the future.